Join MARL in our Pride Parade Walking Group! 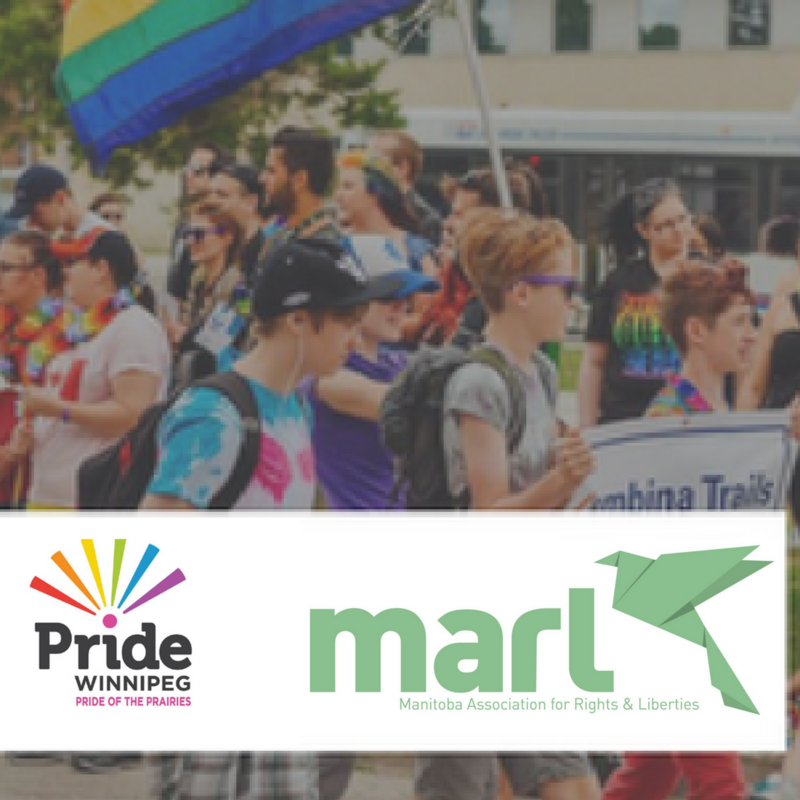 Everyone is welcome to join MARL in our Pride parade group on Sunday, June 3, 2018. We are delighted to be marching in the Pride Parade again this year! It will follow our event, I Have to Be Me, in partnership with Pride Winnipeg, with high school students learning and taking action on the Human Rights Stories of LGBTQ* Refugees and Newcomers. Some of the students will be walking with us as well. Email Michael at michael@marl.mb.ca for any further details about where to meet.